I have seen the future: a Playstation 3 owner was able to snap a photo of the guy who stole his console through the magic link between his PSP and the PlayStation Eye peripheral. According to a post made on the PlayStation.com forums, a gamer by the name of psich0m4n claimed that a man broke into his home on December 16th, 2009 and stole hundreds of games and all of his videogame consoles, including a PS3 and its peripherals. Luckily, psich0m4n was at work and presumably had his PSP on his person. He knew that, due to linking his PSP with the PS3, he could control the console over an internet connection. Patiently waiting for the thief to slip up and connect the PS3 to the web, psich0m4n was able to turn on the console via his PSP on the internet when it was logged on on December 18th. 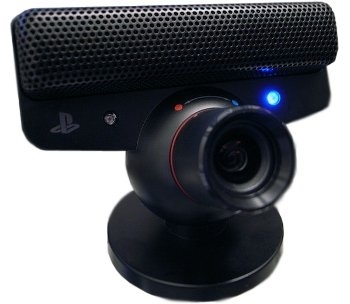 He quickly snapped a picture with the PlayStation Eye peripheral that was still connected and had an image of the thief displayed on his PSP. He then grabbed a digital camera and took a picture of the display. Upon showing this image to the police, they were able to positively identify the burglar and went out to apprehend him. psich0m4n was able to recover all of the merchandise that was stolen from him. It was definitely a confluence of several fortuitous events that led to psich0m4n getting his stuff back. First off, just having a PlayStation Eye to steal is unlikely, added to the thief connecting it and lastly, the culprit actually looking directly into the lens when the picture was taken. However unlikely, it's still pretty amazing that we have the technology available to us consumers to be able to accomplish such a feat. It's not the first time that technology was used to capture a criminal. This story reminds me of the man who was nabbed by police after signing onto Xbox Live with a stolen console. Apparently some criminals are smart enough to get in and out of someone's house without being detected but fail to realize that they effectively create a homing device when they plug their loot into the world wide web. Let this be a warning to all you would-be videogame thieves out there: First, drop dead. Second, don't connect the stuff you just stole to the internet!